Pride Lift Chairs are not only for providing mobility for the elderly. Lift Chairs appear the same as regular recliners, but they also provide ease for standing from a seated position. Lift Chairs also help pregnant women, people whom had a recent surgery, those with back problems, those who need their feet raised higher than their head, etc. It is a good idea to invest in a Lift Chair for these circumstances. Pride Lift Chairs come in a variety of colors, sizes, and types of fabric. For the most comfort and style, we recommend Pride’s Serenity Collection. The Pride’s Serenity Collection is Pride’s top of the line series and range from $1,370 – $1,765 MSRP. 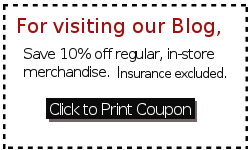 At http://www.Medi-Healthcare.com (our online store), we offer the chair for less. People come in our store and love the feel & reclining of this model, and then they order the chair for the color desired. Available positions of the Pride’s Serenity Collection split-back models are the Infinite-Position (sleep recline); the backrest and footrest move independently from one another where many positions are achieved. 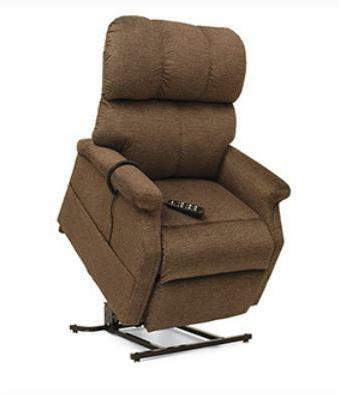 The Pride’s Serenity Collection button-back models only offer a 3-position recline. The hand remote also includes a usb charger port to plugin a cell phone or other device to charge while you’re using your chair. If looking for Lift Chairs that enable your feet to be raised higher than your head, look at the LC-525, SR-525, LC-576, and the LC-580 models.